AT&T launched DirecTV Now late last year as a streaming cable subscription to compete with the likes of Sling TV, PlayStation Now, YouTube TV, and Hulu. When it initially launched, it lacked some crucial features such as Cloud DVR (which all of the aforementioned competing services offer already). Today, AT&T is upgrading DirecTV Now with Cloud DVR and 4K HDR streaming as part of a next generation video platform that will eventually power DirecTV and AT&T U-Verse. 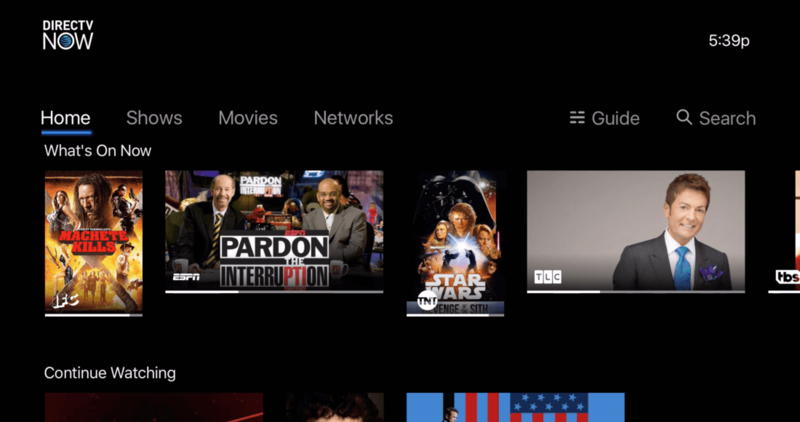 Beta testing for the next-generation video platform begins this summer with final roll out being in the fall, starting with DirectTV Now and DirectTV companion app users. Certain DirecTV Now customers will be "invited" by AT&T for the beta testing. Testers will be able to try out the new features as well as give suggestions for any improvements. AT&T is also rolling out features including live TV pausing and parental controls which will also be available this fall once beta testing is over. Other features, such as user profiles, downloading for offline viewing, and 4K HDR are planned for 2018. Although many customers and reviewers complained of glitches and freezing with the initial launch of DirecTV Now in November, AT&T was able to grab more than 200,000 subscribers in the first month according to an SEC filing. Cloud DVR is one of the most crucial features to a streaming TV service. That along with other requested features like downloads and separate profiles help AT&T to stay competitive in the growing "cord cutter" market. Can't wait till they all have DVR and multiple profiles like PS Vue, I won't leave PS Vue because those profiles are just so useful.